THE MODULAR FIBERGLASS ENCLOSURE NEMA 4X - IBOCO continues its rich tradition in offering the market a comprehensive range of NEMA 4X FIBERGLASS ENCLOSURES that provide effective, efficient installations. The new family of modular enclosures is designed to provide the installer an “ease of use” not found with any enclosure currently in the marketplace. The 14 sizes available (seven solid door and seven window), offer a modular adjustable frame that enables the installer to virtually adjust din rail mounting components, modular panels and inner doors to desired heights, by literally using a quick quarter turn lock-in method, plug and play. It is also designed so you may remove the entire back plate or din rail assembly from the enclosure making installation and maintenance much easier. 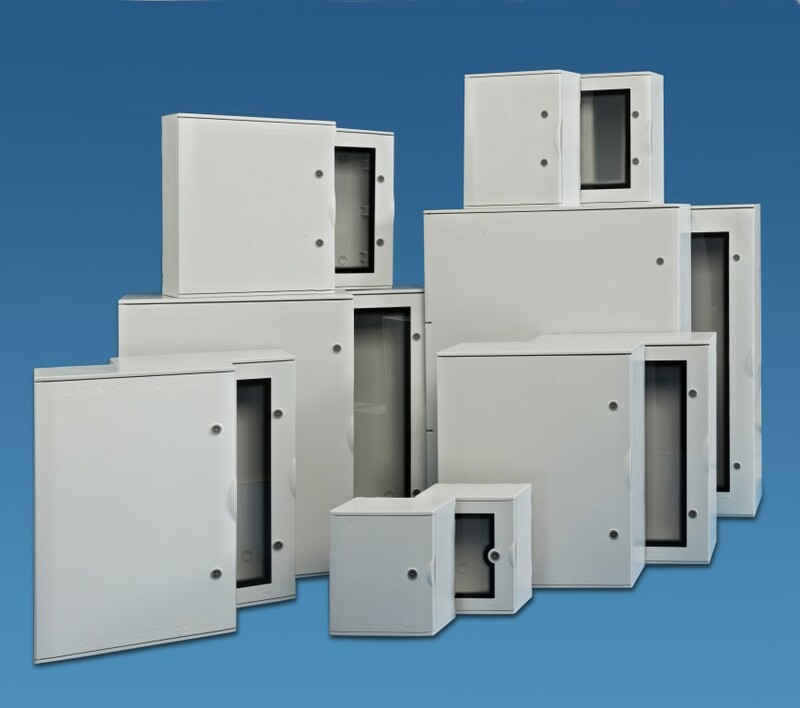 The VTR FIBERGLASS ENCLOSURES series provides modular solutions to the OEM that are unparalleled in the enclosure market. The innovative rail channel guides are designed for durability, ease of installation and maintenance.